A fine first edition, signed ‘Edmund Abbey, SLC, May 10, 1984’ and illustrated by Abbey. From the front cover – "Be of good cheer," our favorite war-horse advises, "the military-industrial state will soon collapse." This sparkling book, which takes us up and down rivers and across mountains and deserts, is the perfect antidote to despair. Along the way, Ed Abbey makes time for Henry David Thoreau while he takes a hard look at the Air Force's MX missile system, currently slated for the American West. A bright signed first edition of Abbey’s powerful work of nature writing and environmental concern, his first book of non-fiction and most famous and defining work. Only 5000 copies of the first edition were printed, it has since sold more than 2,000,000 copies. With drawings throughout by Peter Parnell. Inscribed by Kōbō Abe in Japanese and signed in English. Translated by Donald Keene. 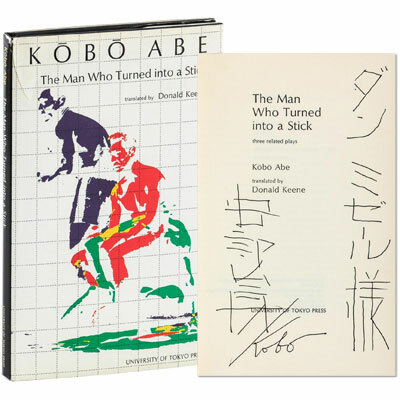 The Man Who Turned Into A Stick (棒になった男 – Bō ni natta otoko), is considered a primary example of magic realism in Japanese literature. A fine and scarce copy of Achebe's novel of personal and moral struggle amid turbulent social conflict, autobiographical in nature and written before he was thirty. No Longer at Ease tells the story of Obi Okonkwo, a man whose foreign education has separated him from his African roots and made him part of a ruling elite whose corruption he finds repugnant. The agony of choosing between traditional values and the demands of a changing world is dramatised with unequalled clarity and poignancy. Still relevant more than fifty years after it was written, this remains a brilliant statement of the challenges facing African society. – T.S. Eliot, The Journey of the Magi. A beautiful copy of this classic heroic fantasy and political novel about a small group of rabbits who are anthropomorphised, possessing their own culture, language (Lapine), proverbs, poetry, and mythology. Evoking epic themes, the novel recounts the rabbits' odyssey as they escape the destruction of their warren to seek a place in which to establish a new home, encountering perils and temptations along the way. The novel takes its name from the rabbits' destination, Watership Down, a hill in the north of Hampshire, England, near the area where Adams grew up, and is based on a collection of tales that Adams told to his young children to pass the time on trips to the countryside. Though it was initially rejected by thirteen publishers before eventually being accepted by Rex Collings, Watership Down has never been out of print, and was the recipient of several prestigious awards. 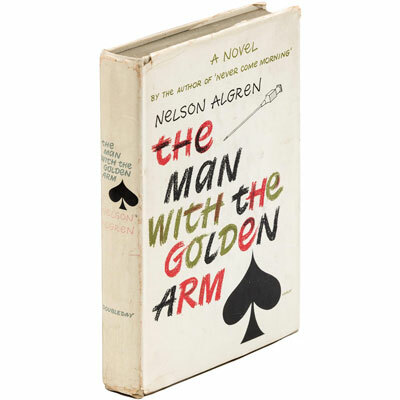 Adapted into an acclaimed film and a television series, it is Penguin Books' best-selling novel of all time. ‘As much about freedom, ethics and human nature as it is about a bunch of bunnies looking for a warm hidey-hole and some mates.’ – Paul Hughes. A finely bound copy of Addison’s Essay, selected for the Golden Treasury series by John Green, Honorary Fellow of Jesus College, Oxford, Joseph Addison himself was a Fellow of Magdalen College. Joseph Adison (1672-1719) first contributed his essays to the Tatler, and after its demise he contributed to the Spectator (contributed being an understatement, 274 of its 555 essays were by Addison). From the library of Anna Eugenia Clark, with her fine leather bookplate, and later from the library of Huguette Marcelle Clark.